You are at:Home»Business»VPS or Dedicated Hosting — What to Choose? When it comes to web hosting technologies, it can be a little bit hard to pick something that will suit your project best. There are a ton of things to consider. Starting for allocated resourced, bandwidth, processing power and space, ending with DDoS protection, support availability, backup options, and architecture. Here we’ll try and help you by differentiating the two heavy hitters of the web hosting world: dedicated hosting and VPS hosting, to help you figure out which one of the two is better suited for your project. For those who are here for curiosity, here’s the lowdown of what web hosting is: it is a service that offers you a chance to rent space on a dedicated server that is managed by a company so that you can fulfill your needs. This is how most websites, video game servers and a lot of other online tools work. The main benefit of using web hosting services, instead of having your own server is the fact that web hosting is A LOT cheaper, you don’t need to build your own physical server, and you don’t need to worry about back-end development, which is especially beneficial for users without much technical knowledge. For example, most shared hosting services ensure that the user only needs to worry about front-end development, or have the option to use something like WordPress or a website builder. Meanwhile, both VPS hosting and Dedicated hosting services are considered to be high-end solutions, and most often require technical knowledge. VPS hosting or Virtual Private Server hosting provides the user with a chance to use varied amounts of resources that are completely dedicated to one partition, unlike shared hosting, which is another kind of popular hosting. While shared hosting will give you and a lot of other users one pool of resources to share, VPS hosting will provide you with a set amount of dedicated resources. That means no resource sharing. Which means that you’re at lower risk for downtime and slowdowns. This is a must for any bigger project, web app or enterprise website. While you’re at it, in the case of Hostinger (which you can check out right here: www.hostinger.com/hosting-vps/ ) you also get root access. Root access means that you can install your own preferred distribution of the architecture the server is based on, like Linux or Windows. For example: if it’s a Linux based VPS, you can install Ubuntu, CentOS or one of many other options. The best part about VPS hosting is the fact that it is easily scalable. That means that you can get resources as you need them. No need to buy up an entire server, you can get a small partition and upgrade along the way. Any right web hosting provider will ensure, that the upgrade process is seamless and requires minimal if any downtime. 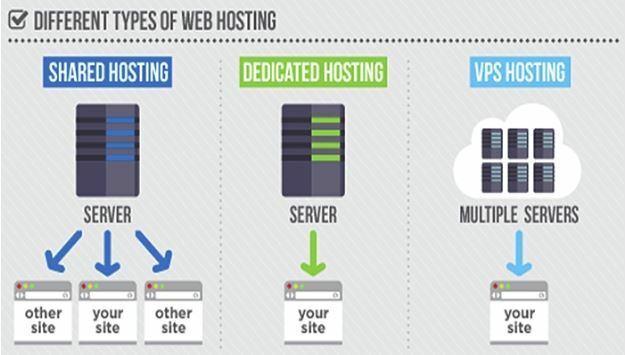 Dedicated hosting is much like VPS hosting, but there is one major, fundamental difference. While with a VPS hosting service, your partition is not the only one on the physical server, even if you don’t need to share resources, with dedicated hosting you get the entire server to yourself. Every single bite of bandwidth, space and amount of clock speed is for your use and your use alone. That’s the most significant difference and benefit. But alas, it comes at a price. Literally. Dedicated hosting is typically a lot more expensive and will require you to fork over a pretty penny. In addition, a lot of the resources at your disposal might be underused, as there is no scaling. You get what you get, and if you have a project that is currently smaller, but intends to grow, you’ll be severely overpaying. What does VPS hosting and dedicated hosting have in common? Both of these services expect you to have a bit of technical knowledge. You need to know your way around a console or terminal, to get the most out of your VPS hosting or Dedicated hosting service. It’s no surprise, given the fact that this is a high-power service. You’ll also gain root access with both of these services. The back-end is covered by the web hosting provider, ensuring that you don’t need to worry about part replacements and similar things, including uptime. You truly get the power of a dedicated server with a lot less of the hassle. Both of these services have some significant upsides, and it is ultimately up to you to choose what works best. 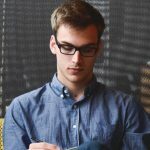 But generally speaking, it is very safe to say, that dedicated hosting services are for a very high caliber of expert that needs A LOT of resources and has a lot of money to burn, while VPS hosting is a service that is a lot more forgiving, scales easily and will save you thousands over time.